One of the most exciting unveils at Comic-Con this past weekend was the trailer for Godzilla: King of the Monsters. We not only got to see Godzilla on screen, but we were also treated to our first looks at Mothra, Rodan, and King Ghidorah. There are a lot of fans who felt the first Godzilla film of this new franchise was desperately lacking in actual Godzilla. It does not look like a lack of giant monsters is going to be an issue this time around. Sadly, we won’t get a chance to see Godzilla: King Of the Monsters in all of its glory until May 31, 2019. At least we got this beautiful new poster today to keep us excited. 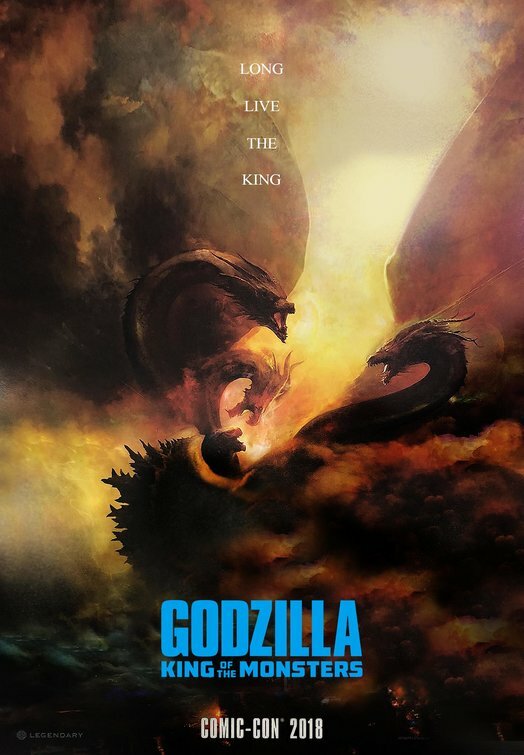 Godzilla: King of the Monsters stars Vera Farmiga, Charles Dance, Millie Bobby Brown, Ken Watanabe, O’Shea Jackson Jr., Bradley Whitford, and Thomas Middleditch.